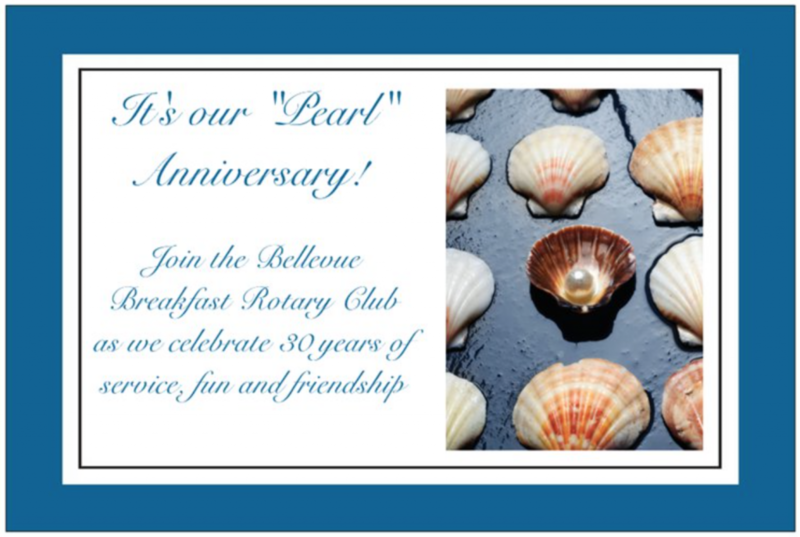 The traditional gift for a 30th anniversary is “Pearls” – thus the theme for our party. If you signed up (and paid) for your Anniversary Party Tickets at a BBRC meeting, you are NOT on the master list! You must contact Carmela ASAP so we can include you in our counts. Space is even more limited than we thought!! If you know you’ve be procrastinating about getting your Anniversary Party tickets – do not wait for next Friday’s meeting. Get your tickets on the website today!! Please note: Because this party is being held at a private residence, this announcement is using the Glendale address as a default. Directions to Paul’s house will be emailed to registered participants.